This is the stunning moment a pair of whales get up close and personal to a group of people ‘blowing rainbows’ into the air. Returning to the shore after a day of scuba-diving, in Lahaina, Hawaii, USA, on February 23, this group of unsuspecting tourists are in for a real treat as some curious humpback whales swim alongside their boat to greet them. 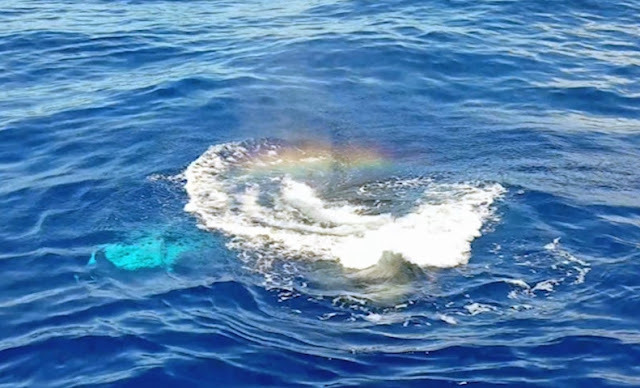 The amazing trick is repeated several times by the humpback duo, with distinctive colours of red, orange, yellow and green all being suspended in the air by the water mist exerted by the whales, much to the amazement of those on-board. Greg Gallent from New York, USA, said: “It was incredible to be this close to such beautiful creature. “The whales were originally around 300ft away, but started getting closer and closer and soon they were directly next to the ship. 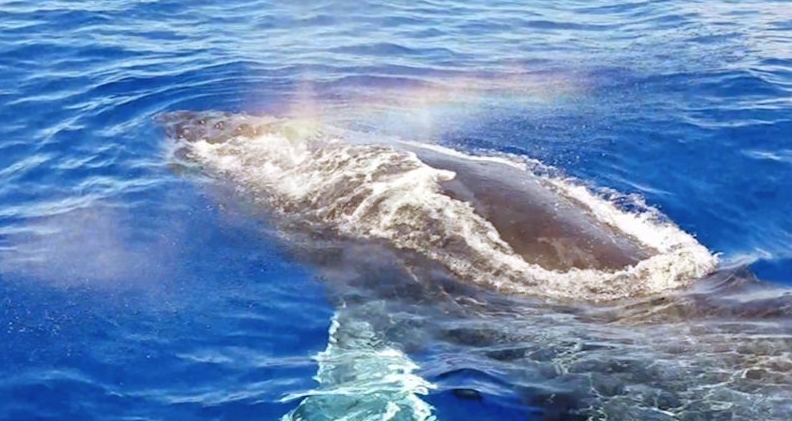 “I was able to really appreciate the size and beauty of these amazingly graceful creatures. 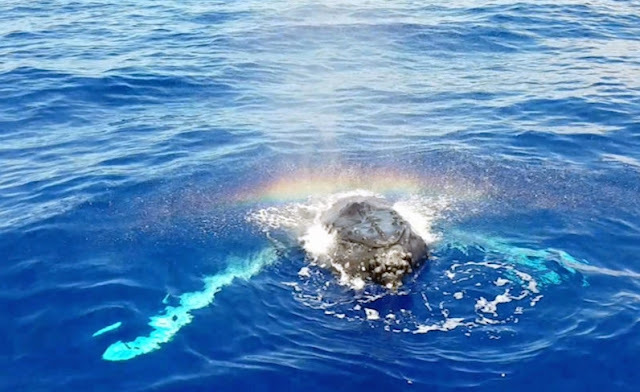 “We were completely awestruck and didn’t think it could get any better, then suddenly they spouted rainbows into the air. Responses to "Close encounter: Stunning moment whales blow a rainbow above their heads"